Paddy is the Director of `Santosha Yoga` which comprises both Santosha Yoga Studio and Santosha Yoga Training. He has been practicing yoga for almost 25 years. A passionate advocate of the benefits of Yoga he brings a wealth of experience to his teaching which is underpinned by student safety and is delivered with a down to earth approach. He teaches a range of classes at different levels and encourages every student to work at a level that is appropriate for them. His classes will help progressively build strength, stamina and flexibility and are characterized by precision, correct alignment and attention to detail. He believes that these fundamentals will lead to a sustainable, integrated and injury free practice. The Studio also provides various high quality training courses for those students wishing to train as yoga teachers, develop their CPD or those who would like to focus on developing specific areas of interest. Literally hundreds of yoga trainess have passed through our doors successfully completing a wide range of yoga courses and as one of the most long established yoga training providers we have gained a reputation for quality, excellence and professionalism. 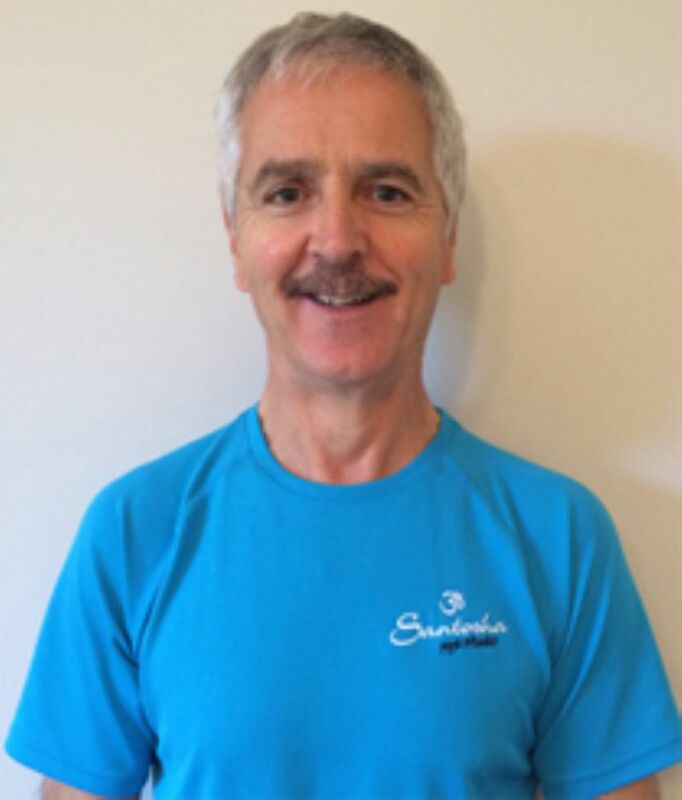 Paddy has been involved in training yoga teachers for over 19 years and as director of Santosha Yoga Training he continues to oversee and develop further courses and workshops to help support all students of yoga in their on - going journey. It is this structured support that will help you to achieve your short, medium and long term goals in yoga. Ita`s first introduction to yoga began 12 years ago when trying to escape from the freezing temperatures of a Canadian winter. She immediately felt a sense of " having arrived ". Yoga was a revelation to her, the missing link in her understanding of body, mind and soul. Having found her path she successfully completed her 200 hour Yoga Teacher Training Diploma here in the Studio in 2005, since then she has been teaching here in Santosha as well as in and around Belfast. As part of her on - going training and professional development she has completed her Yoga for Pregnancy Diploma as well as her `Yoga Buddies` Yoga for Kids course. In her professional capacity she initially trained as a nurse and then a Midwife and has 25 years experience in this field. Through this background she has a strong interest in human anatomy and physiology and a particularly keen interest in womens` health and well being. She is also a trained Reflexologist. Full of enthusiasm for yoga, she continues to explore and apply her holistic approach in the many classes she teaches and keeps developing and furthering her own practice by attending many workshops around the country. She is well known for her strong and dynamic classes, sprinkled with humour, but teaches with great intuition and recognises the needs of each individual student to keep them safe in their practice. Her genuine down to earth style and engaging manner encourages her students to step out of their comfort zone and unlock their true potential. Blanche has been practicing yoga since 2005. She has completed her 200 hour Yoga Teacher Training Diploma, Yoga for Kids and Special Needs. She has also completed a 2 year Iyengar teacher training course and Diplomas in Pranayama and Meditation. She travels regularly to India where she further develops both her knowledge and practice with local teachers, where there is a strong emphasis placed on the breath. Blanche has over 30 years experience working with children and adults in community settings. She teaches two regular classes here in the Studio on Tuesday ( Beginners ) and Friday ( Mixed Ability ), runs Family Yoga Workshops and provides one - to - one sessions for children with disabilities. She has completed the Programme - Yoga for the Special Child (Sonia Sumar method) - Basic One and Two (143 hours) and Yoga for the Special Child CE course in Autism and ADHD (18 hours) and has worked with children and adults with specific needs including Autism, Down Syndrome, Cerebral Palsy, ADHD, Multiple Sclerosis, Cri Du Chat, Brittle Bone, Anxiety, Fibromyalgia, Epilepsy and teaches in a mental health unit. Practising Yoga since 1991 and teaching since 2002 Gill is passionate about Yoga as a way of life. She has been teaching at Santosha Yoga Studio since the doors opened in 2004 where she teaches, Pregnancy Yoga , Hypno Yoga for Birth and Postnatal & Baby Yoga. In 2003 she pioneered Pregnancy Yoga in Northern Ireland, having trained with Birthlight Perinatal Yoga in London under Dr Francoise Freedman and Uma Dinsmore Tuli. In 2004 she began to teach women Postnatally and in 2005 qualified to teach Baby Yoga and Smart Toddler Yoga with Birthlight and in 2009, she qualified in Baby Massage with The International Association of Infant Massage ( IAIM ). She fell in love with Mantra Yoga in 2005 and bought her first harmonium and has continued to immerse herself in voicework and the ancient art of Mantra Yoga, under the discipline of Swamis and teachers of the Bihar School of Yoga. Her Yoga travels and studies are extensive and have taken her to many countries including, India, Hawaii, France, Egypt, Canada, Turkey, Greece and the USA. She has been very privileged to train, study and be inspired by some of the world's leading teachers and Swamis - Paramahamsa Niranjananada, Swami Nishchalananda, Michael McCann, Donna Farhi, David Sye, Marlene Mawhinney, David Swenson, Kaustab Desikachar and Elise Browning Miller. In 2015/ 2016 she trained to teach Yoga for Scoliosis with Elise Browning Miller in California in the Iyengar Yoga tradition. The training released an old injury to her thoracic spine so that she could now stand taller and straighter. Her daily practice of Yoga for Scoliosis has relieved her back pain and helped to correct a structural Scoliosis she had suffered since youth. She has also witnessed first-hand the amazing effect of Yoga for Scoliosis on students' confidence body shape and pain management. Also in 2016 she trained to teach 'Yoga for Stress, Depression Anxiety and Sleep' , with Dr Hania Kramhund at Mandala Yoga Ashram . She has seen how Yoga counteracts such crippling conditions with the healing gifts of deep peace and restfulness. Her intensive training in Hypno Yoga for Birth in 2017 has immeasurably enriched what she offers as a widely experienced Pregnancy Yoga teacher so that she can share with mothers and babies this innovative, deeply transformative practice. Yoga’s spiritual journey continues to uplift and inspire Gill, may you be equally transformed by this ancient path of self integration. Steven started practicing yoga almost four years ago when living in Shanghai. At first it was the physical practice that kept him coming back, but over time the more subtle aspects of yoga began to become as important as the asana practice. He has completed a Jivamukti 300 Hour teacher training course in India as well as an 800 Hour jivamukti apprenticeship in Barcelona. Asana, pranayama, mediation, and kirtan have helped Steven find a strong grounding in an international satsang that promotes compassion, humility, and kindness to all beings. Steven is happy to be home and offering his teachings in the Monday evening 5.30pm and 7.15pm Jivamukti classes. In 2013 Steven relocated to Shanghai where he embarked on his yoga practice. Like most newcomers, he was inflexible and stiff at the beginning which has made him a huge believer that anybody can begin a yoga practice. Having spent 4 years in Shanghai, Steven embarked on the next leg of his yoga journey when he travelled to India to complete the 300-Hour Jivamukti Teacher Training. 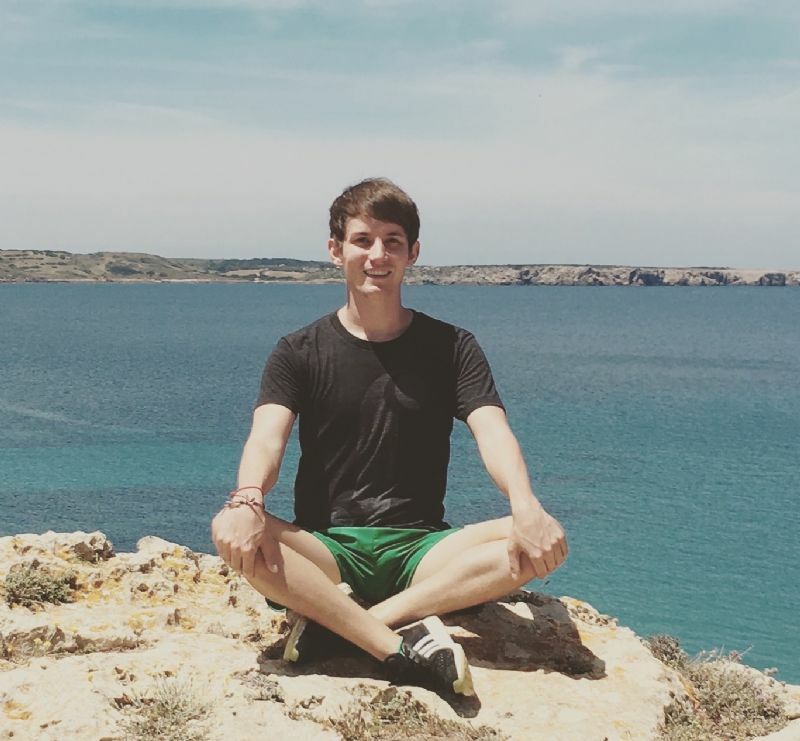 Committed to developing his yoga practice, he invested a further six months completing an 800-Hour Apprenticeship at Jivamukti Yoga Barcelona under the guidance of advanced teacher Maria Macaya. October 2017 saw the return to his hometown, Belfast, where he has been fortunate enough to begin sharing his love of yoga through teaching at various studios. Steven's classes are challenging but accessible, and always work towards a peak pose to allow students to develop functional awareness and express themselves through their own yoga journey. Classes flow, but pay attention to alignment, and you should leave class feeling stretched, challenged, and with a sense of rejuvenation. Ros has been teaching at Santosha for 6 years. She initially began to teach Pilates and then progressed to yoga after the completion of her 200 hour Yoga Teaching Diploma and Level Two training courses in 2011 and 2012. She is currently a registered Yoga Alliance uk chartered level 2 teacher. Ros`s Saturday morning class in the Studio ( vistit: http://rosespey.yoga/ ) incorporates sun salutations, meditation in the asanas as well as a flow through varied sequences of asanas. Yoga aids balance and coordination, focusing on creating greater flexibility in muscles, mobility of the joints while at the same time building strength and stamina. This is all guided by awareness of the breath. The primary aim of the class is to reach out and find the hidden YOU - draw out all of your potential, release your fire from within and be happy! Nuala has been teaching in the Studio since June 2013. 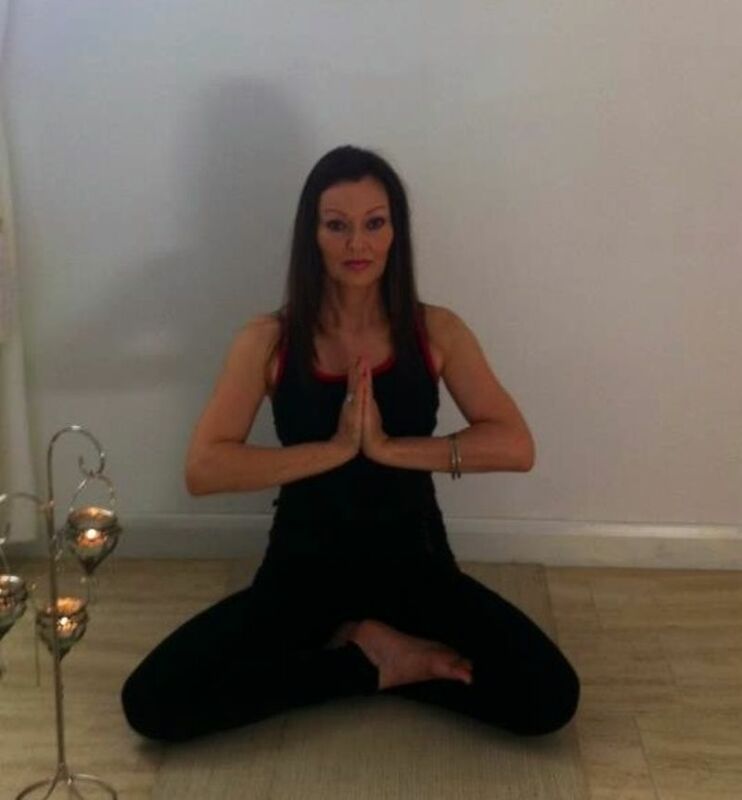 She completed her 200 hour Yoga Teaching Diploma Course in 2010 and then progressed on to and completed the Level Two in 2013 - this course has allowed her to develop students in their practice and also introduce yoga wisdom and philosophy along with an awareness of the body`s energy system in the form of the chakras. Since then she has also completed Santosha Yoga Trainings Meditation course and this course has allowed her include various meditation practices into her classes. She also holds the Yoga for Athletes certificate which she undertook to gain a deeper insight into the workings of the physical body and how to prevent injury. She has also completed vinyasa teacher training and she teaches a class in this style on Tuesday mornnings. Her biggest fascination with yoga as she continues her on - going training is with yoga as a powerful form of Alchemy - due to the shifting and releasing of holding patterns and energy blocks in the body. She has been doing energy work as a Massage Therapist for a number of years and has a particular interest in Chakra Yoga as a means of transformation and healing. Susan Reid - Yoga Teacher, EFT Master Practitioner and Modern Stress management Facilitator; Motivation Therapist and Coach. Susan discovered yoga in the early `90s while juggling the responsibilities of caring for twin babies and full time work as a senior manager in Health and Social services. 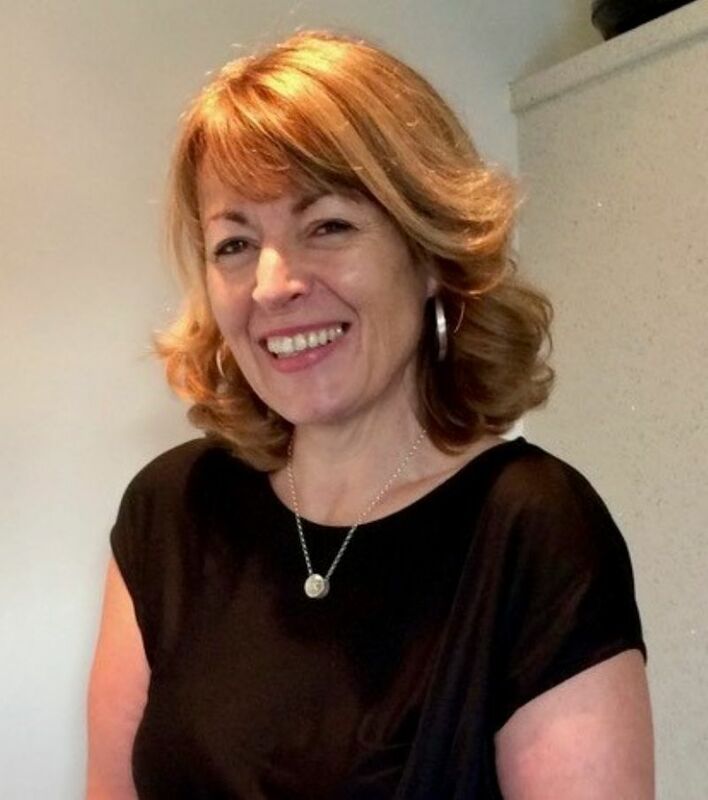 Building on her experience of 23 years as a senior manager in health and social services and the not for profit sector she retrained in 2014 as a clinical hypnotherapist and NLP coach. In August 2015 she trained with Bridin McKenna to qualify as a Master Practitioner in EFT ( Emotional Freedom Technique) and then in November went on to qualify as a Modern Stress Management Consultant. She is a 200 hr Santosha Yoga qualified teacher.She has a particular interest in stress and the evidence based therapies that allow us to not just remove the interference of stress from our mind and bodies but actually to feel, act and think better. 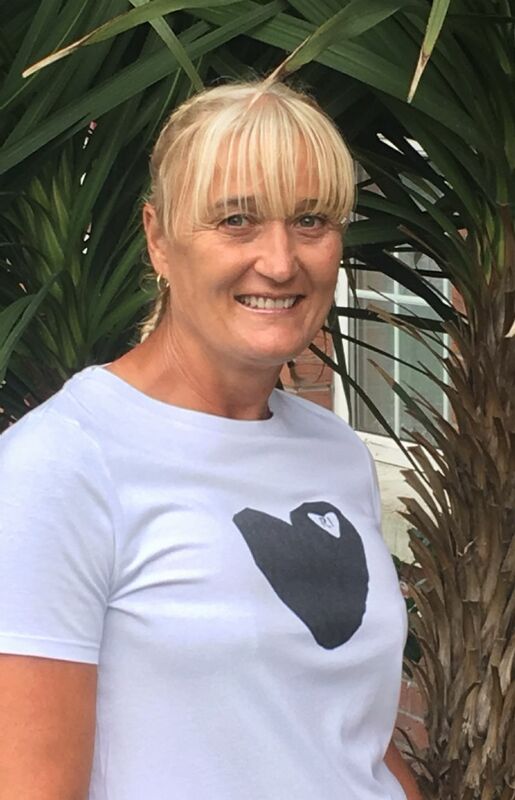 She see’s yoga in all it’s aspects as an essential survival toolkit for 21st century living .Susan’s personal experience of yoga has fuelled her aim is to make yoga accessible to everyone who has an interest and a desire to “ get on the mat”. Kieran`s initial introduction to yoga was by way of an invitation from his daughter to attend a Hot Yoga class (Bikram) to relieve niggling back and shoulder problems. Almost immediately he was hooked by the shear physicality of the practice and how good he felt afterwards. He gradually increased the number of weekly classes and explored other styles of Yoga e.g. Ashtanga, Iyengar, Flow and Hatha Yoga. His journey into Yoga continued with increased frequency for another 6/7 years, culminating in the successful completion of his 200 Hour Santosha Hatha Yoga Teacher Training Course in 2015. Studying the origins, anatomy, ethos and philosophy of Yoga also awakened an important spiritual dimension in his practice and he realized that Yoga could also be an inward journey of body-mind sensitivity and self-discovery. As well as the health benefits, Yoga offers self-reflection, the practice of kindness and self-compassion, connecting to what we already have ~ to who we already are. In Kieran`s Yoga classes you can expect an integrated approach with emphasis on flexibility, stress relief, health, and physical fitness. All practitioners are welcome, from complete beginners to the more experienced. Sandra has been a Holistic Therapist for 25 years, specialising in Reflexology and Massage with adults, children and during pregnancy. She is a mum of 3 children, has two dogs, is down to earth and mostly has a very good sense of humour! She became more and more interested in Meditation, Mindfulness and Yoga as ways of helping others to reduce stress, improve sleep and feel physically and emotionally strong. Consequently, she trained as a Meditation Teacher in London in 2011 and then after that decided to do her Yoga Teacher Training here at Santosha and successfully completed her 200 hour Course in 2013. Since then she has undertaken more training, doing the further Yoga Meditation Teacher Training in 2015 and has travelled further afield to do Yin Yoga Teacher Training. Sandra has also trained as a Specialist Yoga Nidra Teacher and believes this is a fantastic way to find peace and stillness for those who find meditation difficult. She is very interested in the mindfulness teachings of Thich Nhat Hanh and believes every BODY needs yoga! As a yoga practitioner of 12 years Aisling is a firm believer in the philosophy and the therapeutic benefits to the mind and body of yoga. She is particularly interested in anatomy and yoga as a complimentary practice to both sport, dance, work and life in general to improve functional movement, focus and well being. She has completed both her 200 Hour Yoga Teacher Training Course and Yoga for Athletes course with Santosha Yoga Training. 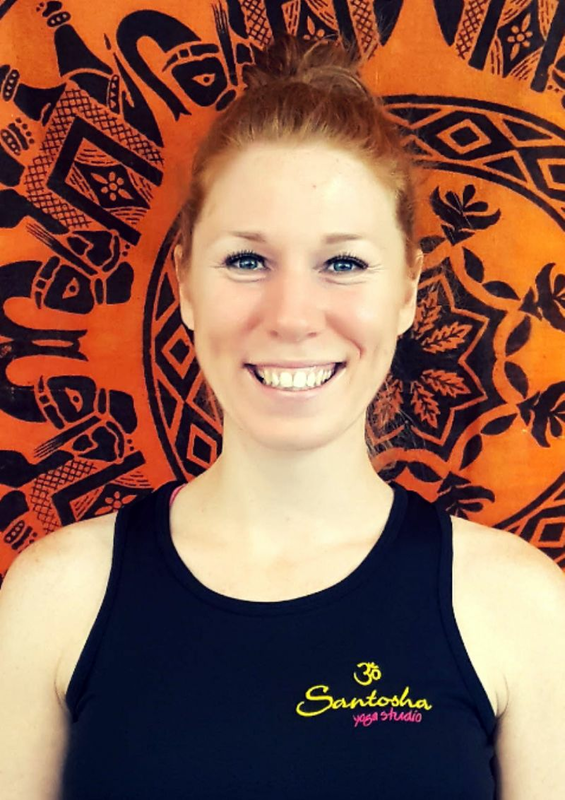 As well as teaching a regular Beginners class in Santosha she also delivers a specific Yin Yoga for Athletes class which aims to complement, enhance and benefit those students participating in sports to access some of the many benefits of yoga. Aislings style of teaching is fun as she believes that laughter is good medicine. 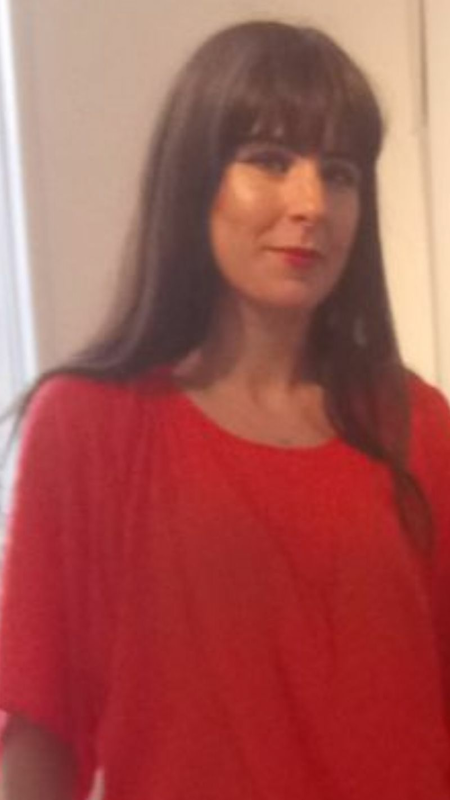 Having worked with children for 20 years Aisling feels drawn to teaching yoga to children and currently works in schools locally teaching yoga to improve their well being. She holds qualifications in teaching Childrens Yoga and in yoga therapy for Autism and ADHD from the Special Yoga Foundation in London. All of these have been augmented with a diploma in client centred therapy. Aisling is particularly interested in the mind body benefits of yoga believing that despite the conditions of your life that a contemplative practice along with a physical practice supports personal growth. ‘No mud, no lotus’ is the perfect analogy for a set of life changing events leading to the start of my yoga journey; unbeknownst at the time, this was a pathway for a truly personal & enrichening journey which would awaken unimaginable joy. 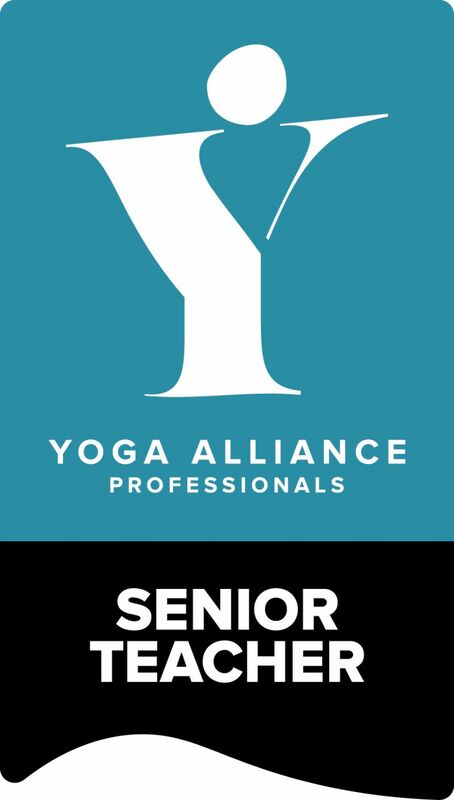 I feel blessed to be a ‘home-grown’ qualified 200 hr Hatha Yoga Teacher, completing my diploma with Santosha Yoga, through whom I have also qualified with a Meditation Diploma under the guidance of Michael McCann and I continue to build upon my professional development. 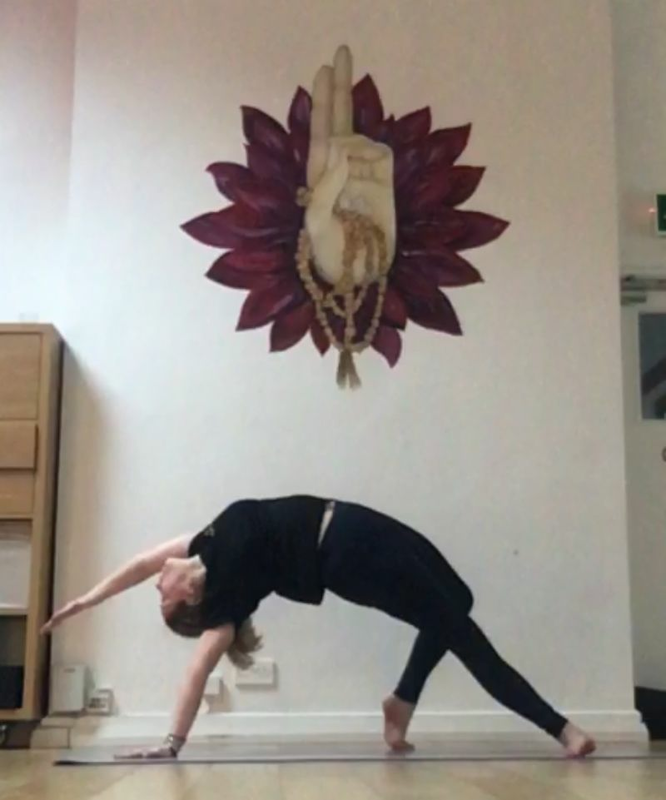 So beautifully described by B.K.S Iyengar ‘Yoga allows you to rediscover a sense of wholeness in your life where you do not feel like you are constantly trying to fit broken pieces together’, I give thanks to discovering the unlimited benefits of yoga which have undoubtedly helped to create a feeling of connectedness. Realising the wealth of my resource within, unquestionably, this perspective has helped to find harmony between the many life demands on a physical, emotional and spiritual level. Taking great pride andjoy in my teachings which are fuelled by a true love for the kindness of yoga, I warmly invite interested students to step onto the mat for a personal experience. Working from the inside-out to help create a connection in mind, body & soul, I am passionate about the benefits of correct alignment & technique, powered by the breath. My belief is that yoga is accessible for All and the results of helping students to gently build on conditioning & strengthening is deeply gratifying. I am deeply excited to be part of Santosha’s team, I have boundless enthusiasm to share the joy & teachings of this ancient discipline. To date, I have a rewarding portfolio as a yoga teacher having rolled out a ‘Blended Mix of Beginners Yoga & Meditation’ programmes within Queen’s University Belfast, St John’s Parish Stoneyford, 1:1 clients and as a regular sub-teacher here at Santosha Yoga Studio. The day I received my 200hr Yoga Teacher diploma from Santosha Yoga School was a very special day. It marked an important step towards turning my passion for my own self-practice into something that I now share with others as a yoga teacher. I have been practising yoga for over 10 years, initially as a student here at Santosha Yoga Studio, and then also through a regular home practice. I continue to explore new areas of my practice through workshops and training and bring this into my teaching. My personal practice is a strong Hatha based combination of long holds to build strength, and breath led flow sequences to build stamina. Students of my class here at Santosha can expect a similar mix. We will take time to explore poses, focusing on alignment and cues to allow you to progress in poses, along with flow sequences to get energy moving in the body and build stamina. My classes also integrate meditation techniques, breath work and a focus on the Chakras to bring added depth. "Each class is a build up to a sequence or pose/poses which I find very helpful as I tend to lack confidence in my practice, but time is taken to ensure alignment and poses are correct which is great." "Your approach was a great balance between patience and task master!" "As a regular yoga practioner I found your classes very benefical. You took such care to teach us each pose in detail." Lisa got into yoga about 10 years ago. Initially she used yoga as a class to compliment fitness and dance. Then after a serious hip injury turned to yoga as a way to help and support recovery. It was after this that a desire had ignited to ‘investigate’, ‘explore’ ,‘learn’ and it was this desire that opened a pathway of what lisa would soon discover was ‘svadhyaya’ self - enquiry and self - discovery. This ethos is the building blocks not only to Lisa’s self practice but classes she leads. She believes being on a yoga mat is a platform and a gift, in this busy world we live in. Many roles and responsibilities pull us every day and all yoga asks is for you to turn up. 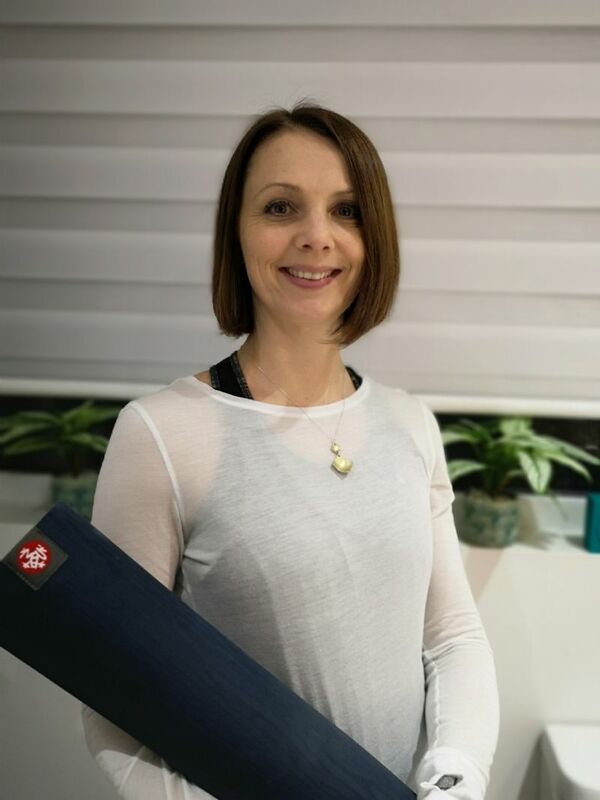 Lisa succeffully completed her 200 hr Hatha teacher training under the guidance and teachings of Paddy Hamill, and she has also recently completed her Yin yoga teacher training. What might you expect from Lisa’s classes? ‘I want students to explore their practice. How does your own body work, what makes it work? Ignite an understanding to how something feels. And at times this will offer up questions? Self inquiry? Absolutely! Soft does mean weak, and hard does don’t mean strong. Once we connect the mindset, with the breathe the asanas become the dance of yoga. Her class is based on a flow aspect of the root of Hatha, building on good technique, inner strength and self - discovery and she`d love to see you at one of ther classes!